Captain Jensen heads up the Office’s Patrol Division. He has a broad skillset with which he serves the Sheriff’s Office and the community. Captain Jensen began his law enforcement career as a military policeman for the United States Marine Corps in 1984. Following his enlistment, he began his civilian law enforcement career at another Front Range sheriff’s office and has worked for the people of Douglas County since 1997. Captain Jensen is a graduate of the 174th Session of the FBI National Academy program. He serves the region as the alumni organization’s secretary and treasurer. Though he is skilled in all the roles of the Patrol Division, he has a strong background in traffic law enforcement. During a fellowship opportunity with the National Highway Traffic Safety Administration in Washington, DC, he studied America’s aging driver population and developed a curriculum to educate the nation’s law enforcement officers about how to plan for and interact with elderly drivers. He served as a dedicated DUI enforcement officer and as a crash reconstructionist in the Traffic Unit. The captain is also a certified police motorcycle operator. He frequently teaches drivers and their parents about graduated driver licensing in Colorado and the learn-to-drive process. Captain Jensen shared his law enforcement expertise with the people of Kosovo following its bid for independence from Serbia. He served there as an international police officer and helped teach the indigenous police personnel democratic policing methods and theory. 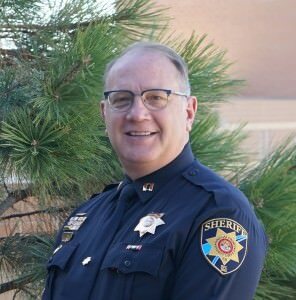 He has served on two metro-area SWAT teams and is a respected leader in the law enforcement community throughout Colorado. Active in his church, he is married and lives with his wife in the community he loves to serve.